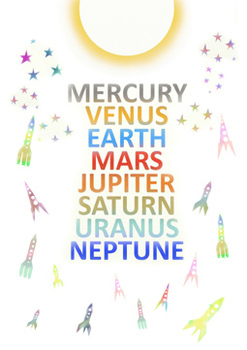 The poster shows all Solar System planets in order. The selected colors relate to their original appearance. Great for classrooms as well as kids room to help them remember the simple layout of the Solar System. Guys imagination of our kids is the key!